Well, I’ve been insanely busy at uni… which goes towards explaining it somewhat. Written two essays, with a minimum word count of 1800 words. One was on early medieval queenship and the other on the political situation in England in the 1650s. Those required a lot of work. Started work on a third essay – yay? Wrote some articles for student newspapers and been involved in an interview with a journalist on students’ views about a topical local issue. Attended my second college ball, one of the biggest events of the year! Time with my friends of course. Busy, busy, busy! I’ve still been writing daily as my NY Resolution says, even if it is only a little bit, but I haven’t had the time to focus on the blog — it’s been a case of write or blog and I know which one is more important to me, even if i do love blogging. 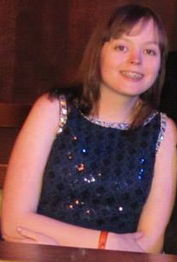 Slightly awkward cropped image of me towards the end of the night, probably after 4am….